Evens the complexion and reduces redness. 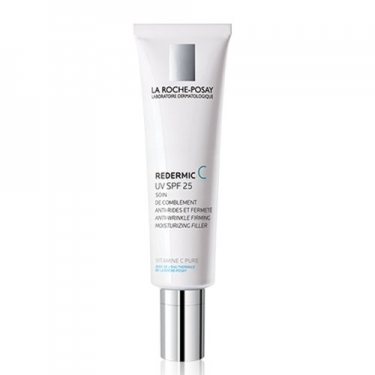 DESCRIPTION: Redermic C UV SPF25 from La Roche Posay is an anti age fill care for sensitive skin. 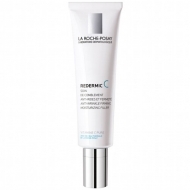 This formula designed for sensitive skin, concentrated in Vitamin C, recognized action on aging for its effectiveness in standardizing the complexion and help to stimulate the production of collagen to fill wrinkles from within and strengthen the material of the skin. Its intense action is completed by two assets: Mannose, sugar densifier to optimize the interaction of light with the skin and smooth irregularities from the application; Hyaluronic acid to help smooth the skin immediately. The filler effect texture, fresh and light, has a velvety effect and a non-greasy touch. Apply morning to face and neck.